Sean Gallup/Getty ImagesRussian President Vladimir Putin arrives for the first day of the G20 economic summit on July 7, 2017 in Hamburg, Germany. The deadline set by the UK for Russia to explain itself over the Sergei Skripal poisoning has now passed. Russia is refusing to respond to Britain’s accusation unless it is provided with a sample of the nerve agent used. Britain is now expected to take retaliatory measures against Russia, and Russia may respond in kind. Diplomats may be expelled, and sanctions could also be on the table. The UK’s deadline has now passed for Russia to explain itself over accusations it was behind the poisoning of former spy Sergei Skripal with a nerve agent. 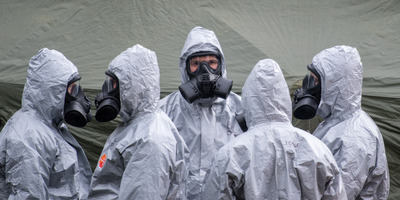 The chemical weapon attack in Salisbury, England, last week has sparked one of the worst diplomatic disputes between the two countries since the end of the Cold War. Britain says it is “highly likely” that the Russian government ordered the attack, while Russia has repeatedly denied any involvement. On Monday, Prime Minister Theresa May gave the Russian government until midnight Tuesday to formally answer questions – but the Russian Embassy in London tweeted earlier in the day that it would not respond to the “ultimatum” until it is provided samples of the Russian novichok nerve agent that UK investigators say was used. Unless the Russian government has backed down and responded privately, Britain is now expected to announce punitive actions targeting Russia on Wednesday. If that happens, Russia has said it intends to respond in kind – raising the prospect of an escalating series of damaging retaliatory measures between the two countries. The British government seems certain to expel at least some Russian diplomats from the UK in protest, a move Russia may echo. Speaking to BBC Radio 4, housing minister Dominic Raab has also suggested that sanctions and other financial tools are on the table: “If, as is widely feared, it turns out that there is no credible explanation for this [and] that the Russian authorities were responsible for it directly … that opens up the whole panoply of counter measures from economic, financial, diplomatic measures,” he said. 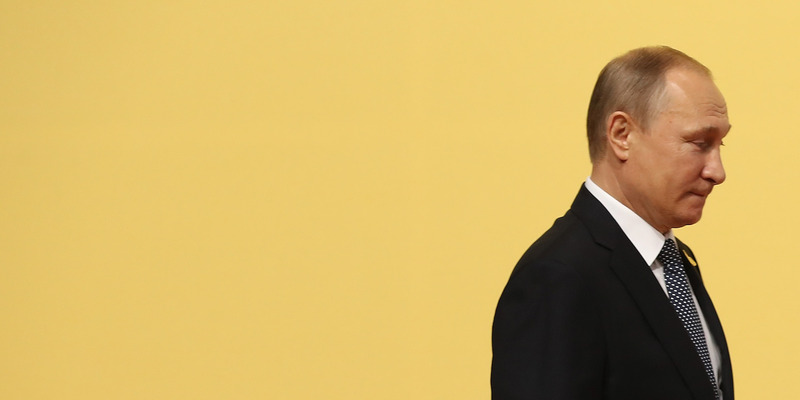 Britain’s response has also been complicated by an initially lacklustre reaction from the US. While nominally Britain’s closest ally, Trump’s White House at first declined to endorse the UK’s attribution or condemn Russia by name. Only after a call with Theresa May did Trump say he was with the UK “all the way,” in the words of the Prime Minister’s spokesperson. Another potential response from the UK is to revoke the broadcasting licence of Russia’s news and propaganda arm RT (Russia Today). Regulator Ofcom has said that if Skripal’s poisoning is found to be an “unlawful use of force by the Russian state against the UK,” it will reconsider whether RT is “fit and proper” to hold a licence to operate in the country. Russia has promised recriminations if this happens, with a Foreign Ministry spokesperson saying that it would ban every British media outlet from the country.